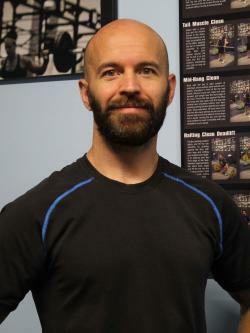 I have been teaching beginner to intermediate level exercisers for over 15 years. I meet people at their level to make exercise more enjoyable and fitness more attainable. I am fully committed to helping you reach YOUR goals, not mine. If your goal is improved health and well-being, I’m not going to put you on a scale each week (but if your only goal is to lose 10 pounds this month, you can count on it). If you’re a vegetarian, I won’t try to persuade you to eat paleo. In fact, I don’t encourage any specific diet for anybody. The truth is – most diet and exercise programs can work for anybody. The key is that you must enjoy it, believe in it, and be consistent. The most important factor in achieving your goal is consistency, and the fastest way to become inconsistent is to do workouts you don’t like, don’t understand, and that are geared towards results you didn’t want in the first place. Everyone has different reasons to exercise, and my job is to create a plan that works best for you. I have been training in Cary, NC since 2005 and just opened a new fitness studio with my wife, Alexis, in Apex in 2018.